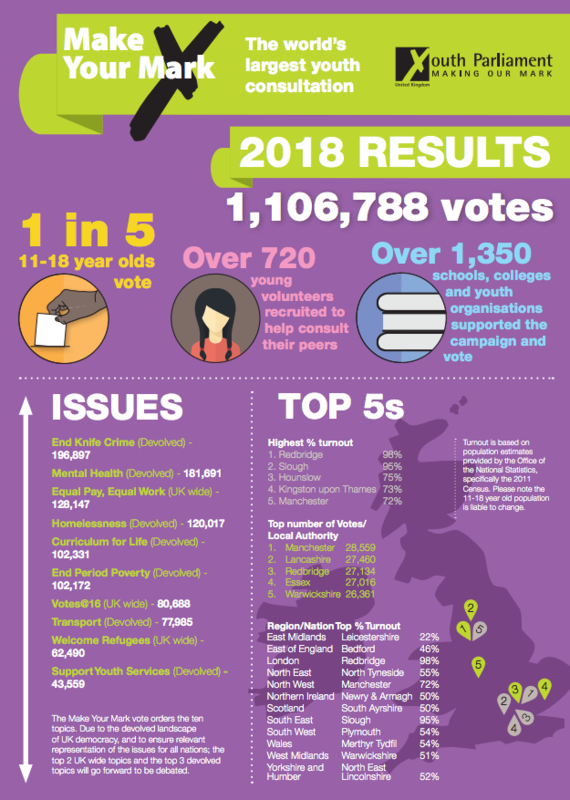 Each issue identified in the 2018 vote will be discussed within the chamber on Friday 9th November during the UK Youth Parliament’s eighth sitting in the House of Commons. 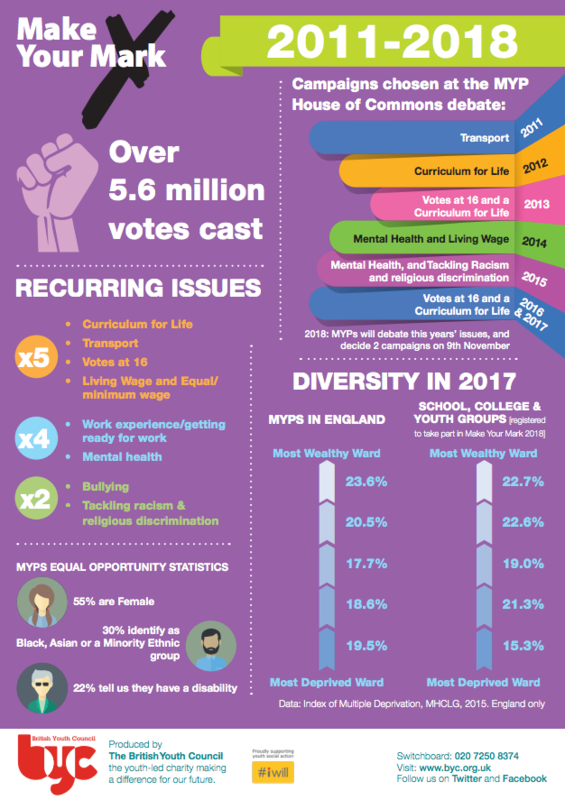 This years debate is due to be chaired by John Bercow MP, Speaker of the House of Commons who has chaired every debate in the House of Commons since their first sitting in 2009. 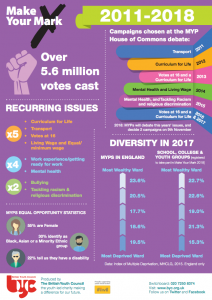 The Make Your Mark ballot orders the top five issues, but those chosen for the UK wide priorities debate must include 2 UK wide topics and 3 reserved English only topics. Due to the devolved nature of the UK democracy and to ensure relevant representation of the issues from all nations.